The New York Post’s Page Six gossip operation succeeded in creating a buzz with a report that Bond 25 will rework part of the plot of On Her Majesty’s Secret Service. But is it a good idea? Many fans enthusiastically say yes, because it means a proper adaptation of Ian Fleming’s 1964 You Only Live Twice novel. Let’s take a look at some issues involved. –Another revenge plot? 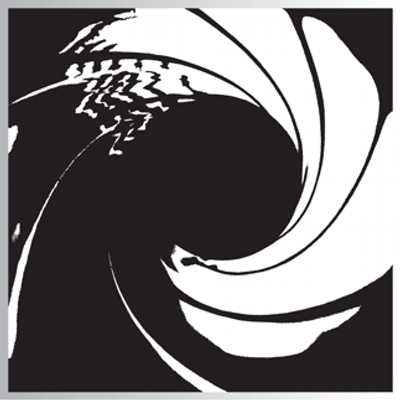 In the Twice novel, Bond is a broken man following the death of his wife Tracy. He’s given an “impossible mission” involving diplomacy instead of guns (trying to get the Japanese to share intel it gathers and decodes using its Magic 44 system). But through a few twists and turns, it turns out Blofeld is in Japan and Bond gets to go after him. Eon Productions did Twice first, dispensing with most of the plot while retaining key characters. Majesty’s became the next film in the series. Diamonds Are Forever didn’t make any direct references to Majesty’s. Thus, many fans say they were deprived of a classic revenge plot. True enough. Eon, over the years, has made up for lost time revenge wise: Licence to Kill (Bond goes after the killers of Leiter’s wife, who also severely maimed Leiter); GoldenEye (Bond, betrayed by 006, goes after him); The World Is Not Enough (Bond is betrayed by Elektra King, goes after her); Die Another Day (Bond is framed and imprisoned, goes after those responsible); Quantum of Solace (Bond swears revenge for the death of Vesper in Casino Royale). Bond films may have things in short supply, but revenge plots aren’t among them. This time it’s personal (again). –Chemistry, or lack thereof, with the actors involved. In SPECTRE, Lea Seydoux was very convincing when her Madeline Swann said she hated Daniel Craig’s Bond. Not so much when Swann decided she was in love with Bond. In 1969’s Majesty’s Diana Rigg as Tracy was very convincing as the character who made Bond feel she was “the one,” his true love. Seydoux wasn’t in that league, a point this blog made in a January 2016 post. None of this will matter to advocates of using Majesty’s and Twice as the basis for Bond 25. Blofeld Trilogy, Garden of Death and all that. We’ll have to wait for a couple of years before seeing if there’s anything to all this.